We’ll often get calls from folks asking us about being able to purchase a life insurance policy without having to take a medical exam or answer any medical questions. The main concern is finding a type of burial insurance or final expense insurance. These folks are looking for what is called a Guaranteed Acceptance Life Insurance Policy. They’re also generally pretty excited about the opportunity of buying a “Guaranteed” life insurance policy, but aren’t necessarily going to be “experts” on all the Pros and Cons associated with your typical guaranteed life insurance policy. We wanted to take a few moments to examine what guaranteed life insurance policies are and describe some of the pros and cons that you’ll find with them. As well as provide a few examples where these types of policies “may be” a great option for some. A ‘guaranteed life insurance policy’ can probably be best defined as a life insurance policy that is generally only going to have two requirements. First you need to meet the age requirements to purchase such a policy (typically between 40-85). Second, you need to be a US citizen. Guaranteed life insurance policies basically say that if you meet the age requirement, and you’re a US citizen (and can meet the required payment methods outlined by the individual insurance company) you’ll be approved! Require you to take a medical exam. Ask you any health related questions. Penalize you for using tobacco. Or wonder about any previous or current health conditions you may or may not have! Thus, the name GUARANTEED ACCEPTANCE life insurance! Now it’s not all that difficult to see who being able to purchase a life insurance policy without having to take a medical exam or answer any health related questions would have its benefits. Who wouldn’t like to avoid taking a medical exam or having to disclose any personal medical history about oneself? If you are a US citizen and you meet the required age requirements, you will qualify for a guaranteed issue life insurance policy. You will NOT need to take a medical exam or answer any health related questions in order to qualify for your guaranteed life insurance policy. Your policy will generally go in force immediately upon receipt of payment (This is where the clause known as a Graded Death Benefit will come into play and will be discussed as one of the “cons” associated with guaranteed acceptance life insurance policies, so stay tuned below). Your application should be relatively simple and can typically be completed over the phone or online in just a few minutes! Guaranteed life insurance policies will also have their disadvantages which is what we’ll now take a look at so that you can have a complete picture of what it means to actually purchase a guaranteed life insurance policy. When it comes to understanding what some of the disadvantages of purchasing a guaranteed acceptance life insurance policy are, the first thing a client or potential customer needs to understand is what the term “Graded Death Benefit” means, and how it could potentially influence whether or not a guaranteed life insurance policy will be the right option for them. So, let’s take a look! You may also want to visit this article to check out our best final expense burial insurance companies. Most of these are graded benefit whole life insurance companies. However, not all of these graded benefit companies are guaranteed acceptance. Give us a call and we can help point you in the right direction if you must have guaranteed coverage. A graded benefit or graded death benefit is a “clause” that you’re going to find written in all guaranteed acceptance life insurance policies that is designed to protect the insurance company from insuring someone who is really, really sick! A graded death benefit clause will basically state that your life insurance policy will need to be in force for some set period of time (typically 2-3 years) prior to it covering death due to a “natural” cause. Natural causes of death would include causes such as heart attack, stroke, diabetes, or cancer. Should you die from a “natural” cause during the first 2 years (or possibly 3 depending on which insurance carrier you choose), your guaranteed life insurance policy would NOT pay a death benefit. After all, because the graded benefit whole life insurance companies aren’t going to require that you take a medical exam and aren’t going to ask you any medical questions, in theory, you could literally be moments away from deaths door when you decide to purchase your guaranteed life insurance policy and the companies would have no way of knowing! The companies offering graded benefit life insurance designed the policies so that the company would be somewhat insulated from the inherent risk of the insured being moments away from death. Once again, you will need to live 2 or 3 years beyond the initial premium to be fully covered. Now should you happen to die from an “accidental” cause such as a slip or fall, motor vehicle accident, or a victim of crime, your policy would pay out in full simply because a graded death benefit clause is not applicable to accidental causes of death. To say it another way, if you have a graded death benefit policy and you suffer an accidental death, your policy will pay out the full death benefit from day one! That it’s not all bad news when it comes to the graded death benefit policies because in most cases, if an insured dies from “natural” causes during the graded death benefit period, most guaranteed life insurance policies (or at least the ones we offer here at TermLife2Go) will have some “reimbursement program” whereby the insured’s beneficiary will receive back some if not all of the premium payments that the insured paid plus some type of additional interest earns as well. Worst case scenario, even if someone dies during the graded death benefit period, nothing has really been lost because one can simply consider the payments made as a “savings account” since this money will be returned to the designated beneficiary. All life insurance policies vary, so be sure you fully understand how the graded death benefit clause is structured for the policy you are considering. No problem, graded death benefit policies can be a confusing , but simply knowing that it exists is often times the most important factor in determining if a guaranteed life insurance policy is going to be right for you. Additionally, now that you know that guaranteed life insurance policies will have a graded death benefit, you can be sure to ask more specific questions about it as you continue to do your research so that when you do finally make your decision, it’ll be a well, educated one! Most guaranteed life insurance policies will max out at about $25,000 dollars in coverage, so if you’re looking for more coverage than that, a graded death benefit policy probably isn’t going to be the right fit for you. High cost dollar for dollar. Additionally, most guaranteed life insurance policies are going to be priced at a higher premium than you would find with other more traditional types of life insurance which require the applicant to be able to qualify based on their health. Guaranteed life insurance policies are terrible! Why would anyone choose to buy such a policy? And to be honest with you, this isn’t necessarily a bad question! But the truth is, there are a lot of situations where a guaranteed issue life insurance policy really isn’t such a bad option, in fact in some situations, it’s the perfect choice! Situations where a guaranteed issue life insurance policy just might work. Sometimes folks are just looking to purchase a small whole life insurance policy that they can simply purchase quickly, without having to jump through a ton of hoops. In cases like these, guaranteed life insurance policies are perfect, particularly if client has a pre-existing medical condition which could create a problem qualifying for a more traditional type of life insurance coverage. Another advantage that can often get overlooked when looking at many guaranteed issue life insurance policies is that because these types of graded death benefit policies aren’t going to ask about tobacco use, if one does use tobacco, a guaranteed life insurance policy may be a less expensive alternative to an insurance policy that would penalize them for their tobacco use. Already been denied traditional coverage. If you’ve already applied for traditional coverage but have been denied due to either, some type of medical condition, or social lifestyle risk (dangerous hobbies, travel history, driving record, etc…) having the ability to reapply for guaranteed life insurance and being able to secure some coverage for your family can be a great benefit! Life Insurance on someone else. Many times people by this type of policy because a loved one is willing to help pay for the policy or simply because they know they will be stuck with the final expenses and burial costs when you die. Although you cannot buy life insurance on someone else without their knowledge, you can buy the policy and be the owner and payor if the insured consents in writing. 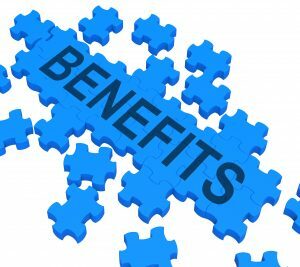 Now we hope that you’ve enjoyed our brief breakdown of some of the most important pros and cons of a graded death benefit policy and would encourage you to give us a call should you have any questions. After all, our only goal here at TermLife2Go is to help you secure the best possible life insurance policy for you and your family, whatever type that may be. So, what are you waiting for? Give us a call today or visit our Life Insurance Quotes page and see what we can do for you! I want a small policy, like $5000. Looks like a guaranteed acceptance (I’m a smoker, regular insurance hates me) will run around $60 a month. If I’m going to shell out that much money now, I want to be covered if I die tomorrow. Graded benefit may sound fair, but I could accomplish nearly the same thing with a savings account. Are any guaranteed acceptance policies non-graded coverage? Unfortunately to the best of our knowledge all guaranteed issue life insurance policies will contain a graded death benefit. For policies that don’t ask any medical questions or require a medical exam, Graded death benefits are the only way an insurance company can avoid insuring someone just days (or hours) before they were to die from natural causes. Previous Post: Best Life Insurance for SBA Loans: Get Approved Fast!